Treon's Realm: New Evil Dead Trailer Looks "Groovy"
Evil Dead is one of those off beat horror flicks that polarizes a lot of viewers. 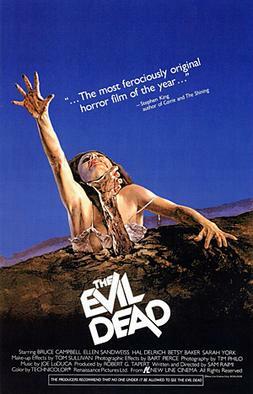 While many people point to the superior and infinitely more memorable Evil Dead II, there's no denying the ambition and fun of the highly successful indie original. What many forget is that the original movie was a more serious take on the horror genre versus the "horror comedy" the series evolved into. There is a lot of argument whether this film is a remake or sequel and from the looks of the new trailer, I would classify it as a sequel/tribute. Many iconic scenes have been redone but this is a new cast of characters simply in the same cabin from the original film so don't fear someone trying to replace Bruce Campbell as the lovable Ash. As a matter of fact, both Bruce Campbell and series creator Sam Raimi are producing the new film with the former even scheduled to appear in a cameo. One of the more exciting revelations is that the film is supposed to be done with practical effects which based on the trailer, look pretty damn sweet. Enjoy!